Need propane for your next backyard party or corporate event? 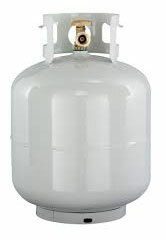 We have new propane tanks in stock and will refill your old tank, no matter what size you have! We offer 20lb and 100lb tanks for purchase in our storeroom. Busylad can also fill up your RV tank, so be sure to stop by before your next road trip! Click here to see our propane selections., or just give us a call or stop by Busylad Rent-All today for all your propane refills.